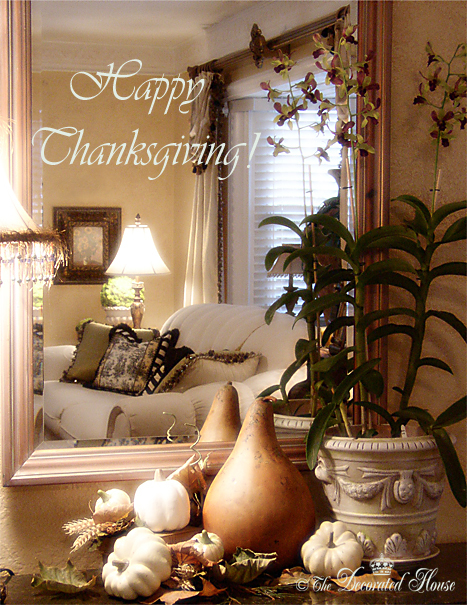 The Decorated House: ~ Happy ThanksGiving! ...and a blessed Thanksgiving to you, too, dear friend!!! Beautiful!! I hope you have a wonderful Thanksgiving ~ enjoy each moment.